For more than 20 years, I've built my North Wales coverage around a charming medieval banquet at Ruthin Castle. Driving into Ruthin — and knowing its banquet was now being held less frequently — I intended to cut the town entirely from my book. I was on edge, moody, as if I was about to commit a violent act. I was mad that many of my readers wouldn't be able to see the one thing that put it on my map. I was going to kill it. But as soon as I entered my good old Ruthin — and saw the funky half-timbered pubs, the humble fountain, the cheap-but-beloved WWI monument, the home where Cynthia Lennon lived after John left her, the church with the never-locked wrought-iron gate where everything is in Welsh, and the views down cobbled lanes leading directly into forested hills — I lost my nerve. I knew I'd have to keep it in my book. Even with only occasional performances of the banquet, I couldn't cut Ruthin entirely. 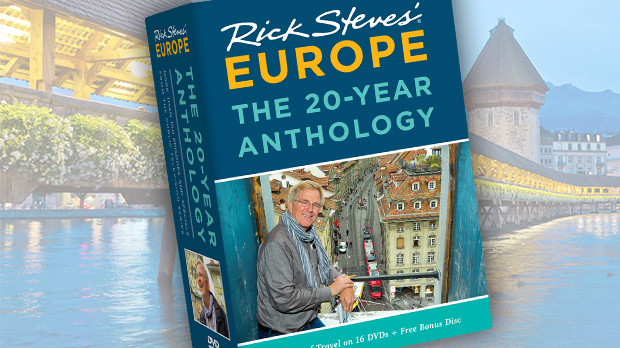 I scaled down the coverage in my guidebook, but kept the city. Welsh magic is like that. 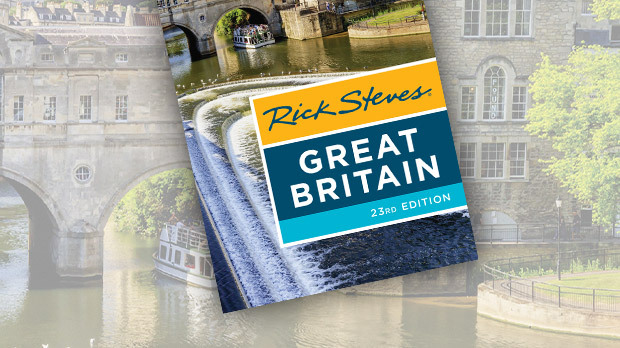 Beyond its lush landscape, powerful castles, and huggable small towns, the nation just has a certain poetry to it. And that poetry has its own language. Despite centuries of English imperialism, the Welsh language remains alive and well. Though everyone in Wales speaks English, one in five can also speak the native tongue. In the northwest, well over half the population is fluent in Welsh, and uses it in everyday life. 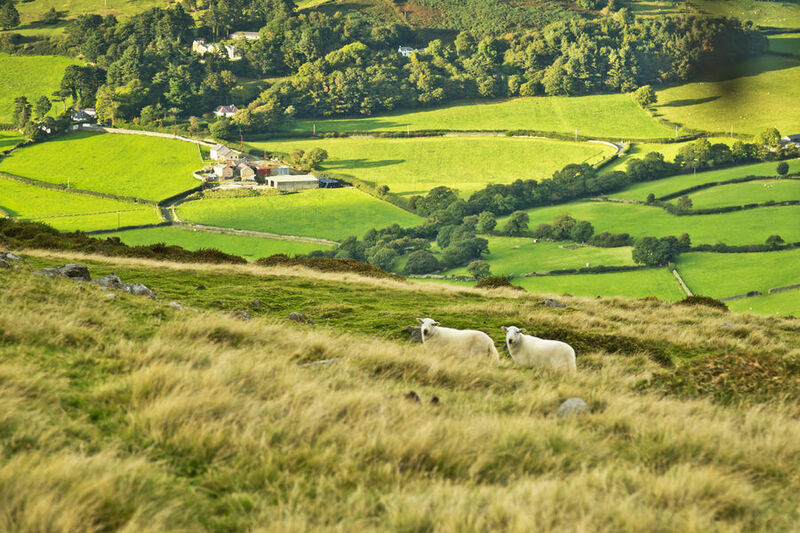 Less urbanized and less wealthy than England, Wales consists of miles of green land where sheep graze (because the soil is too poor for crops). And behind a good share of the pastures looms a stony medieval fortress. The country is rife with castles, most of the built not by the Welsh but by their 13th-century enemy: England's King Edward I, who built them as a base for the garrisons he installed to control the local population. One of Edward's greatest castles is Conwy Castle — an impressive example of medieval ingenuity. Its towers are round — tougher to break through with no corners to knock off. Finished in just four years, it has layered defensive systems and a water gate that allowed safe entry for English boats in a land of hostile Welsh subjects. The town of Conwy also has "the oldest house in Wales," Plas Mawr, built in 1580. In its heyday, visitors stepping into the house were wowed by the heraldry over the fireplace. This symbol, now repainted in its original bright colors, proclaims the family's rich lineage and princely stock. Its kitchen comes with all the circa-1600 conveniences: hay on the floor to add a little warmth and soak up spills; a hanging bread cage to keep food away from wandering critters; and a good supply of fresh meat in the pantry (take a whiff). Inside you'll also find a well-done exhibit on health and hygiene in medieval Britain — you'll be grateful that you were born centuries later. To really appreciate North Wales, you need to step outside to see its natural beauty. Look for Mount Snowdon, the tallest British mountain south of Scotland. Each year, half a million people ascend one of seven different paths to the top of the 3,560-foot mountain. Hikes take from five to seven hours; if you're fit and the weather's good, it's an exciting day. Mountaineers note that this area was used by Sir Edmund Hillary and his men as they practiced for the first successful ascent of Mount Everest. They slept at the Pen-y-Gwryd Hotel Pub, at the base of the road leading up to the Pen-y-Pass by Mount Snowdon. Today the bar is strewn with fascinating memorabilia from Hillary's climb in 1953. 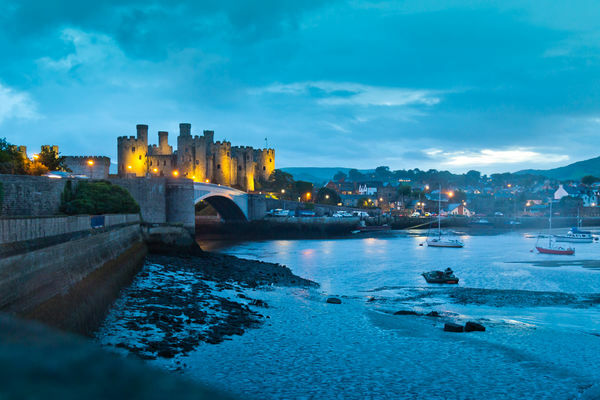 From its dramatic castles to its evocative landscape and history, from its scenic beauty to its friendly people, Wales casts an enchanting sightseeing spell.